Are you interested in vision correction surgery but are fearful of having a bladed surgical instrument near your eye? If so, then bladeless LASIK may be the solution you are looking for. In bladeless LASIK — also called blade-free LASIK, all-laser LASIK, or femto LASIK — your LASIK surgeon uses two types of lasers for the vision correction procedure. First, an ultra-fast femtosecond laser is used to create a thin flap in the cornea (the clear front surface of the eye. Then, an excimer laser is used to reshape the underlying corneal tissue to correct your vision. The flap is then returned to its original position. The femtosecond laser eliminates the need for a bladed surgical tool (called a microkeratome) to create the corneal flap. No surgical blade of any kind is needed in all-laser LASIK. Generally, anyone who qualifies for LASIK surgery is a good candidate for bladeless LASIK. Also, some studies have suggested that all-laser LASIK may decrease the risk of certain LASIK complications associated with the use of a microkeratome. Each of these systems has its own features and benefits, and all systems produce comparable outcomes, according to research. Also, in some cases, a femtosecond laser may make it possible to create a thinner corneal flap, which could enable the surgeon to safely correct higher amounts of nearsightedness. The femtosecond laser also gives the LASIK surgeon more options in flap size, shape, and orientation, for a more customized LASIK procedure for each patient's needs. Finally, a femtosecond laser can create a corneal flap that has edges that enable the flap to fit more securely in place after the LASIK procedure, potentially reducing healing time and decreasing the risk of dislocation of the flap after surgery. Complications during and after LASIK occur infrequently, regardless whether you choose to have the corneal flap created with a femtosecond laser or a microkeratome. One potential LASIK complication that usually is specific to bladeless LASIK is a condition called transient light sensitivity syndrome (TLSS). This is characterized by rapid onset of photophobia without changes in visual acuity or other clinical signs. TLSS typically occurs two to six weeks after bladeless LASIK surgery, and fluorescent lights can worsen the light sensitivity symptoms. But the condition is not sight-threatening and it usually can be successfully treated with short-term use of steroid eye drops. Ask your LASIK surgeon for more specific information about the relative risk of LASIK complications with bladeless LASIK vs. LASIK with a microkeratome flap for your particular eye anatomy and degree of refractive error. How much does bladeless LASIK cost? Typically, all-laser LASIK costs 10 to 15 percent more than LASIK with a flap created with a microkeratome. However, some laser vision centers and surgeons charge the same fee for whatever type of LASIK is chosen. 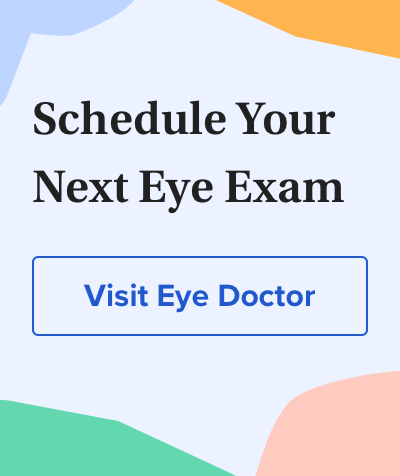 Before agreeing to LASIK surgery, schedule a consultation with your prospective LASIK surgeon to ask questions and make sure you are comfortable with the doctor and the LASIK facility. During this consultation, be sure to ask for details about all costs associated with your LASIK procedure.